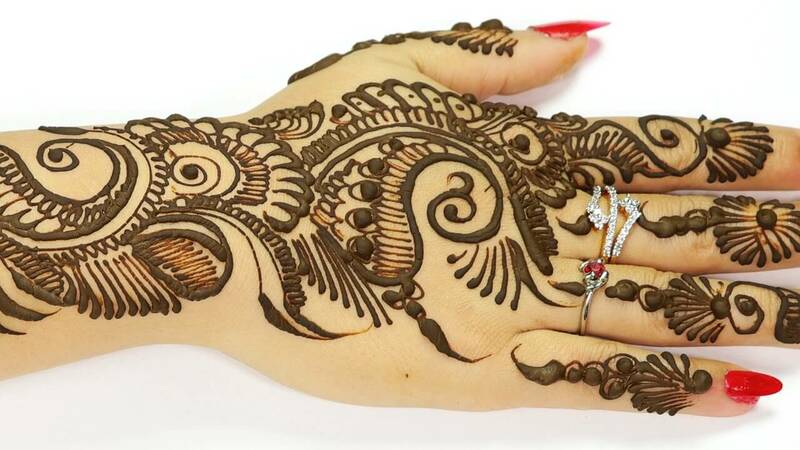 Here in this mehndi design, you would be able to see that a corner to corner pattern is going on and here the mehndi design starts from the index finger and then covers the entire hand and only the index finger has got full mehndi designs and the rest of the fingers have small leafy designs. Here you would be able to see that the design has got the large leaf in it and small motifs, as well as flowers, are also there. 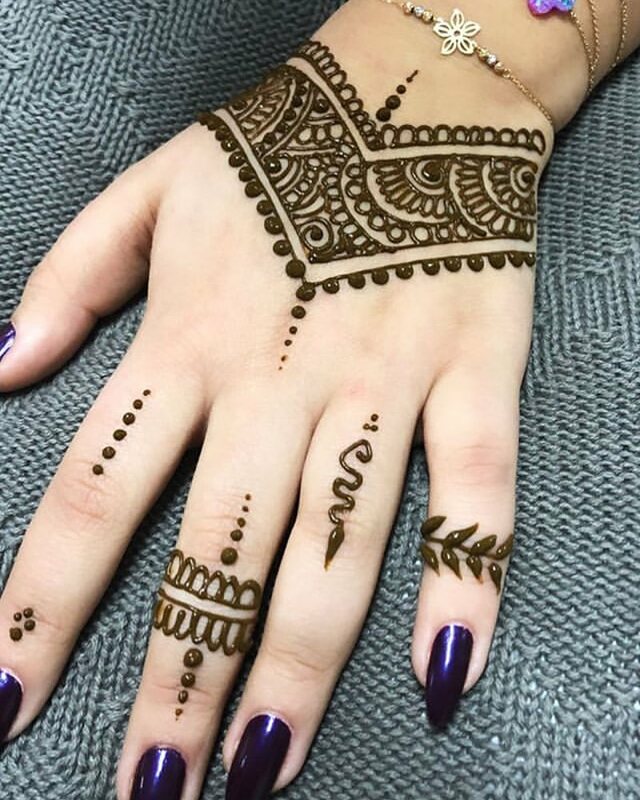 There are some people who love getting mehndi on the back of the hand and if you are one of them then this mehndi design is perfect for you and moreover, it seems beautiful as well as stylish at the same time. Here you would be able to see some curvy large motifs on the back of the hand which literally starts from the index as well as middle finger of the hand and followed by that the design would run at the end of the hand in a cornerwise. 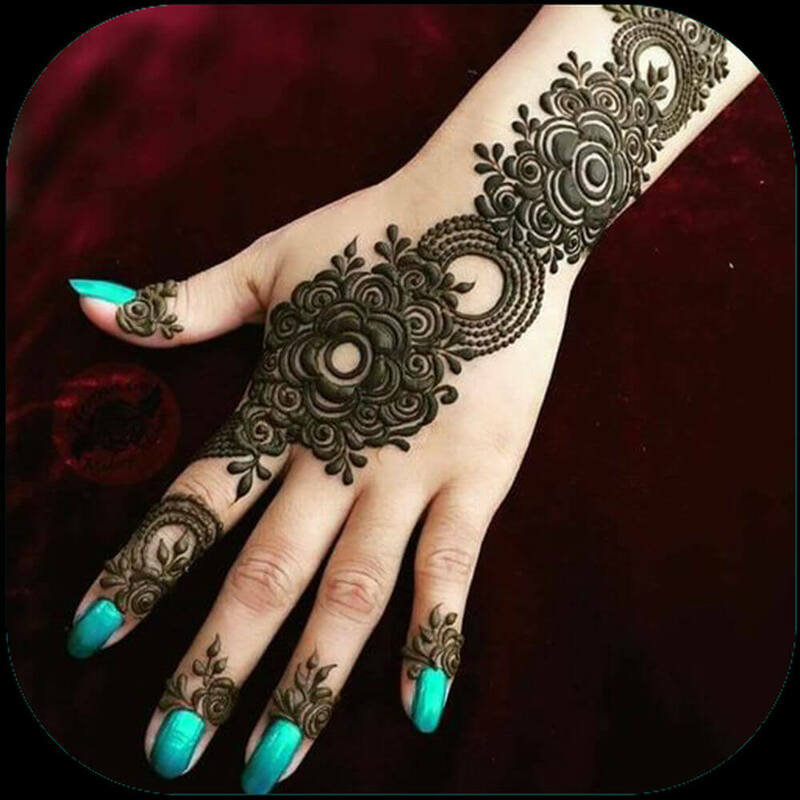 This is one of the best ways to get the mehndi design full hand done and here you would rarely get any empty space left on the hand after getting mehndi on. 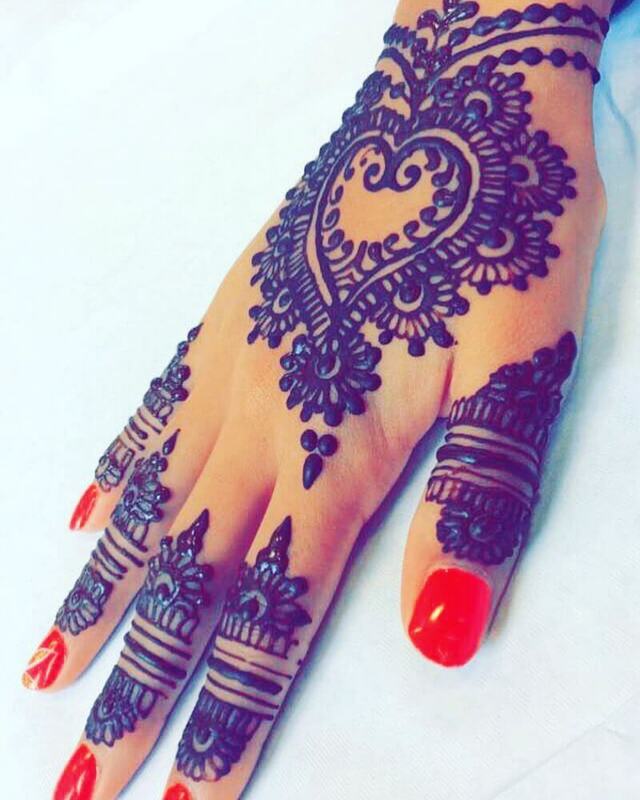 Arabs usually do not have full hand dense designs and they mostly have sidewise as well as cornerwise patterns on their hands but there are people who love to see their hand full with designs and in those times you can literally fill hands with blocks and here also the same square patterned blocks were drawn. 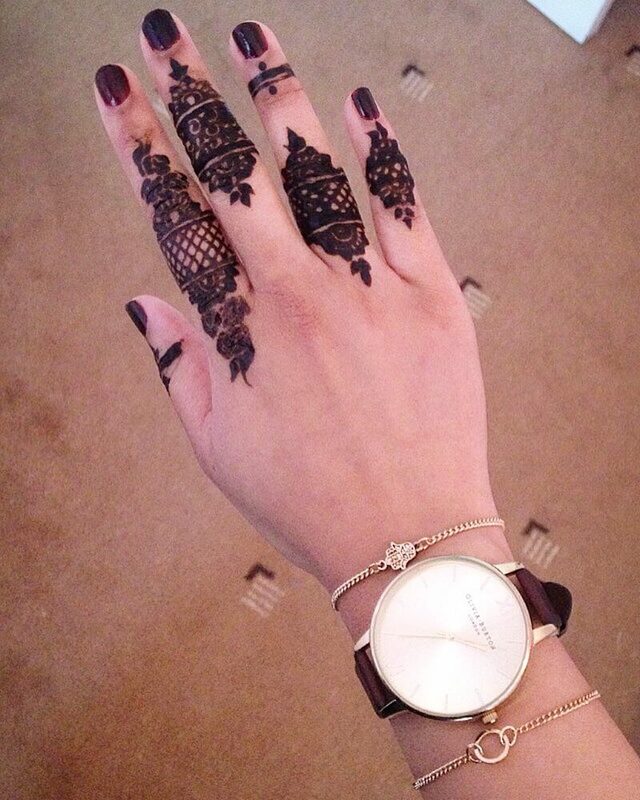 This is one of the most popular as well as loved mehndi designs that Arabs girls mostly get on their hand. 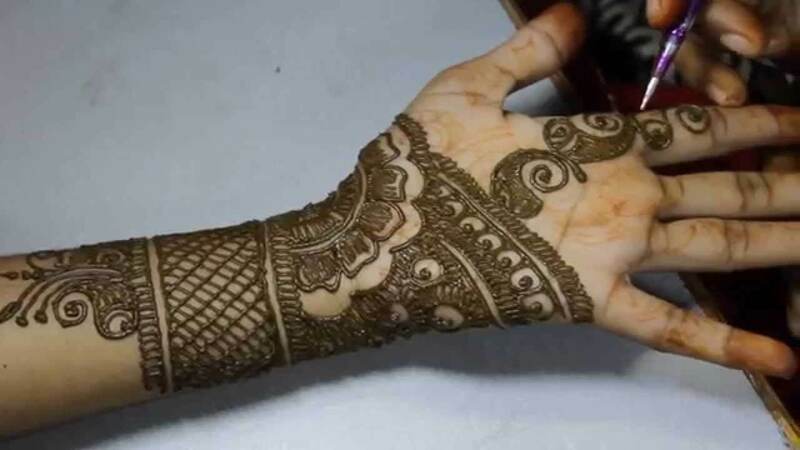 Here you would see that the designs start from the middle as well as the index finger and continues till the arms of the hand although it doesn’t have designs all over the hand rather only a corner to corner pattern has been used. 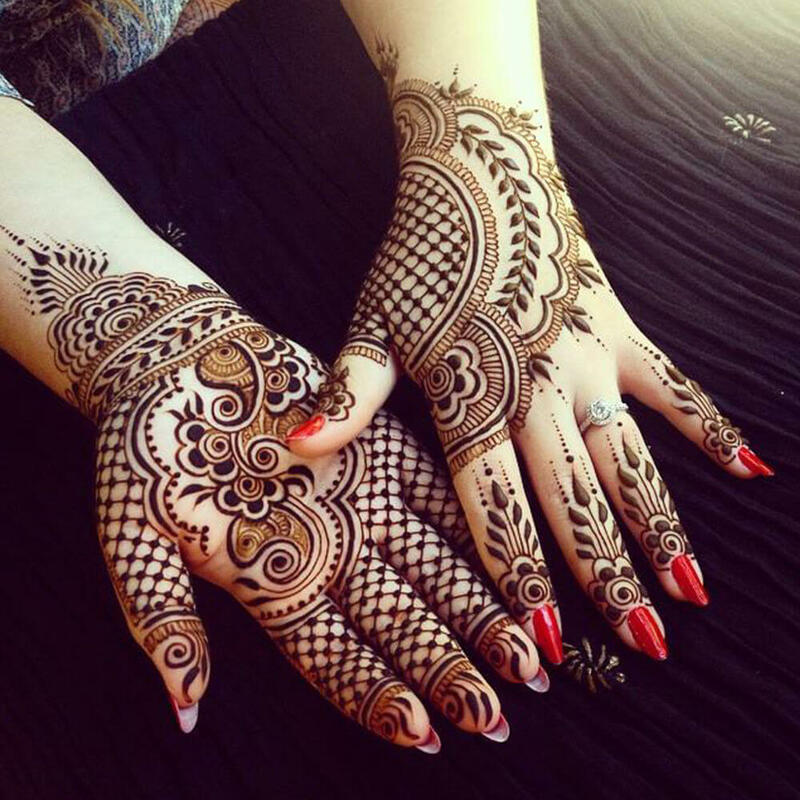 Floral designs, as well as big leafy motifs, are been used to complete the mehndi look. This design seems to be perfect for those who have comparatively smaller hands and this design seems to be perfect for kids also as the designs don’t go up too long in the hands. 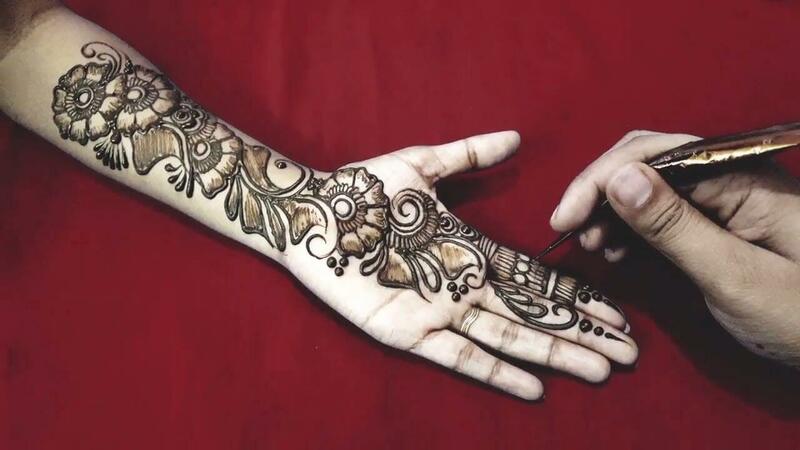 Here you would see that a middle flower has been drawn in the hand and then followed by that there would be motifs which would go up till mid of the index finger and at the bottom, the design would go till the palm or just below the palm. 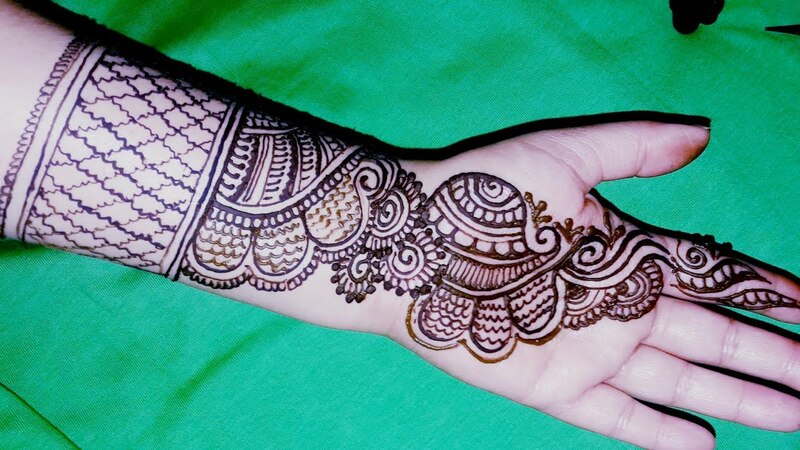 These kinds of designs seem to be easy for those who are learning how to do designs as they proved to be easy and also you are less likely to create any mess and most importantly this design turns out to be beautiful. 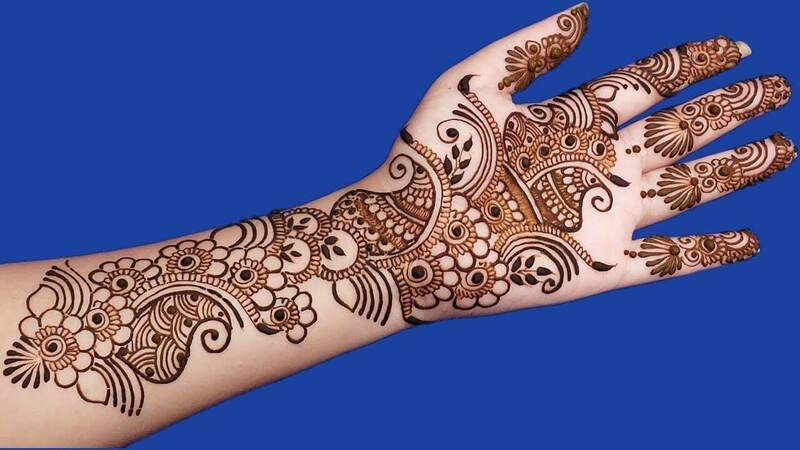 Here you would be a full hand design which starts from the index finger and ends at the arms. 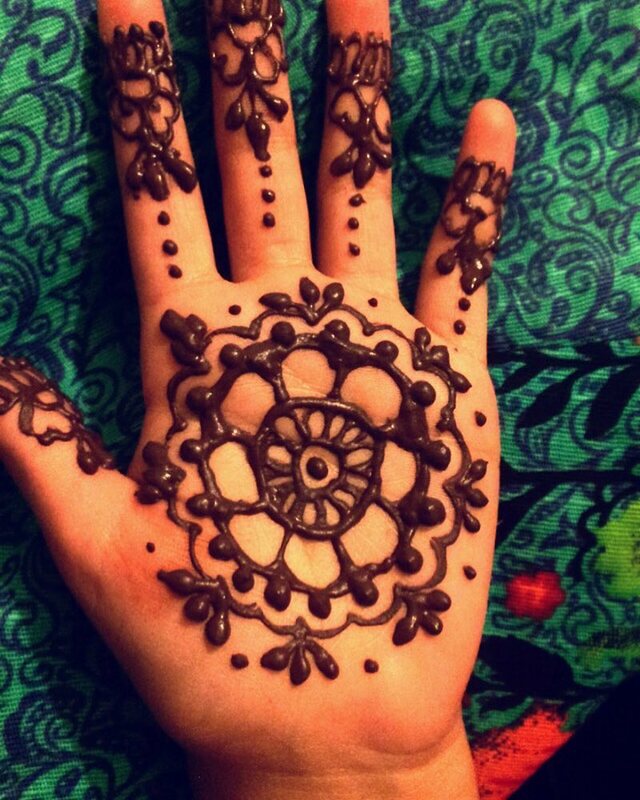 Here the designs were created by forming a half circle and then doing motif designs followed by the half circles also the use of diamond cut shapes were used at the bottom most part of the hand. 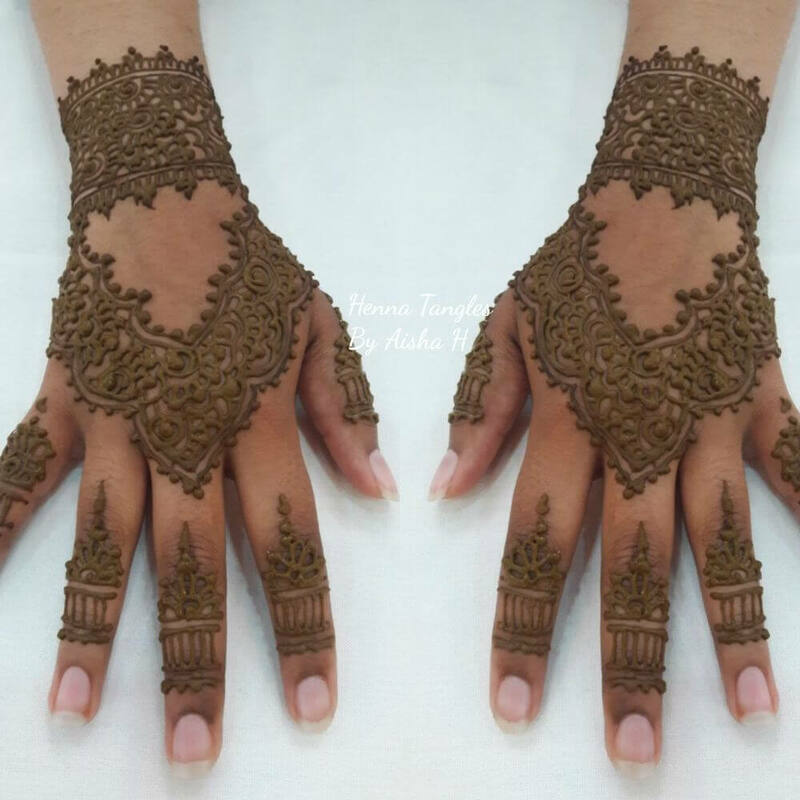 This is one of the most beautiful as well as the modern design of mehndi and if you are willing to avoid all those traditional work or cornerwise work at the back of the hand then this design seems to be perfect for you. 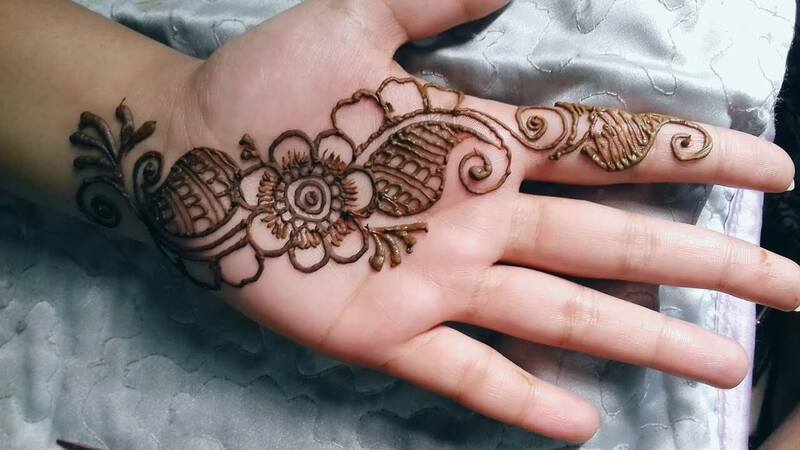 here you would see small flower drawn on the fingers and then again two large flowers are drawn at the middle of the hand and another just below that and those flowers are connected to each other with the help of curvy string like designs. 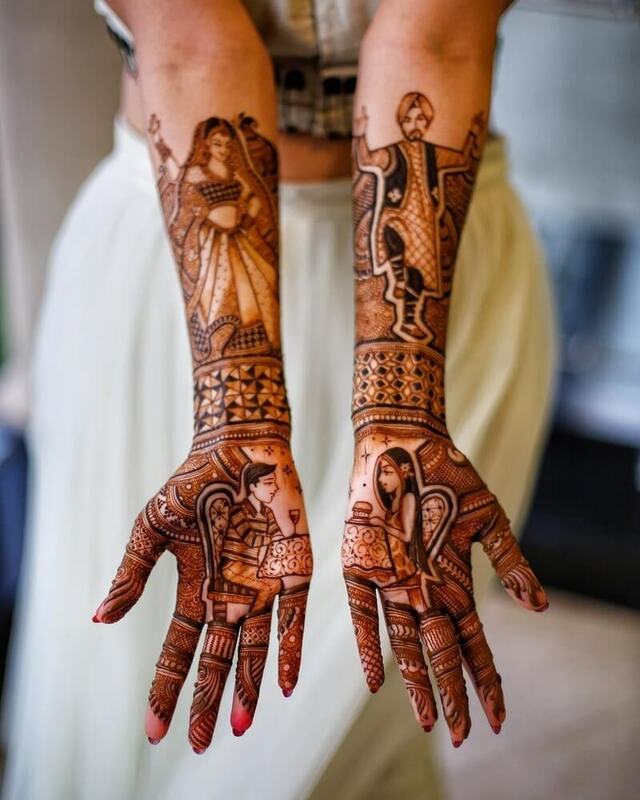 The use of space can be learned from this mehndi design although there are a lot of designs going on in the hand but still too many spaces left empty as well in the hand and the contrast seems to look wonderful. 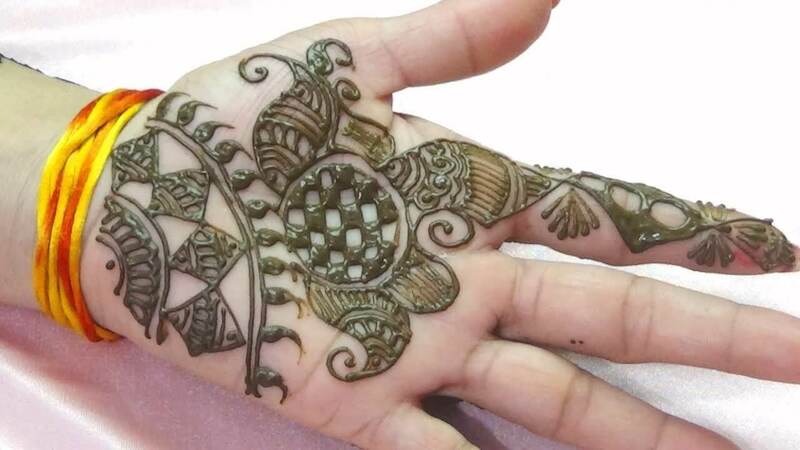 Here you would see that you would get designs on the finger till the middle of the finger and then there would be a bunch of flowers made just below the thumb and also there would be design at the side of the hand and there would be strings as well connecting one design to the other. 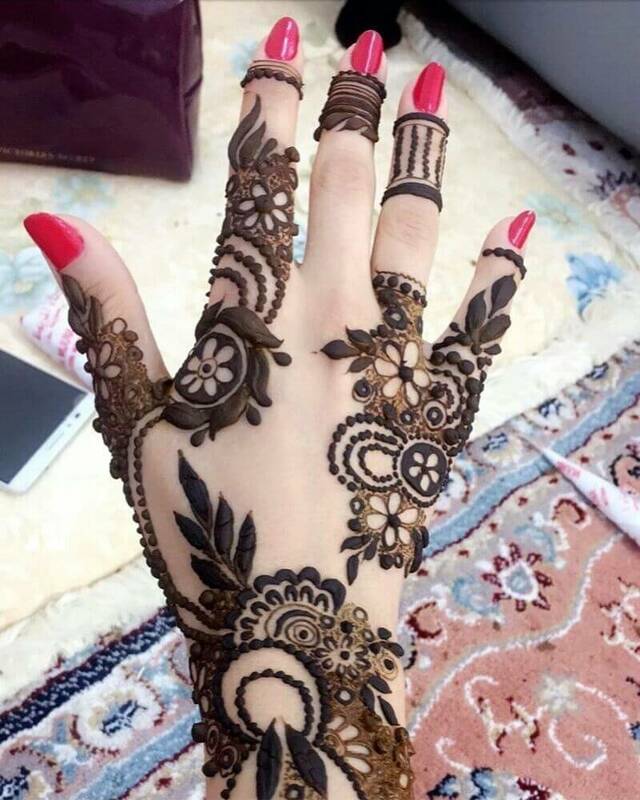 This seems to be one of the best as well as simple mehndi designs for front hands and they look absolutely stunning as well and here the design seems to be comparatively thicker than usual. 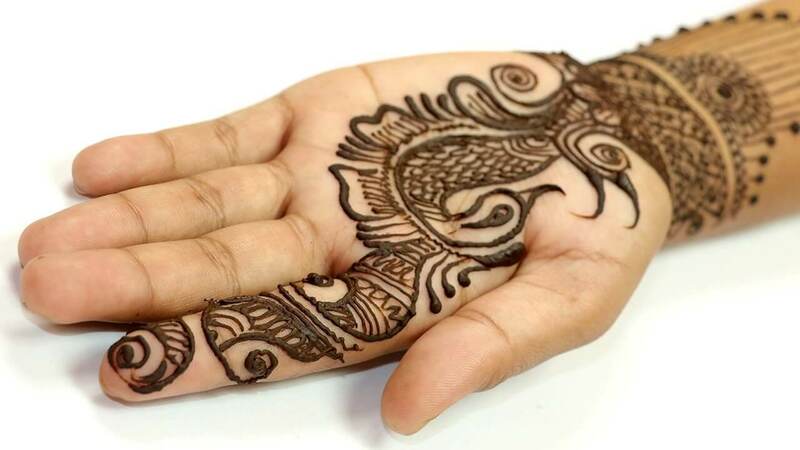 The design here would start from the thumb and would continue till the corner of the hand and moreover, you would see that this particular design covers the bottom of the palm beautifully. 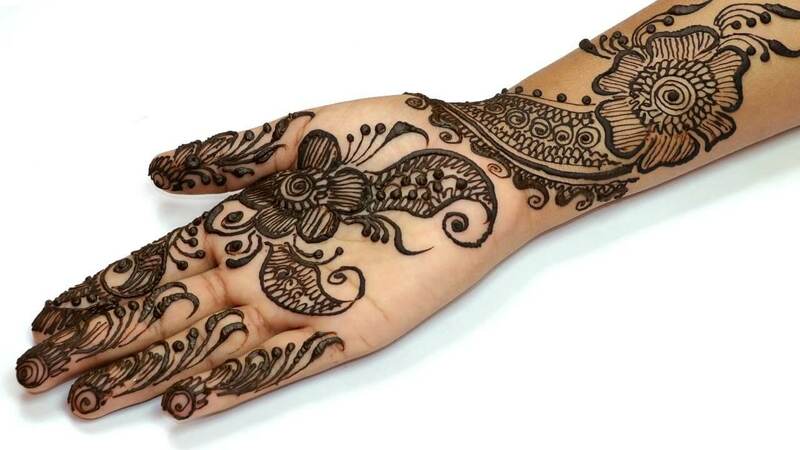 There would be thick motif design on the finger as well which covers the entire finger. 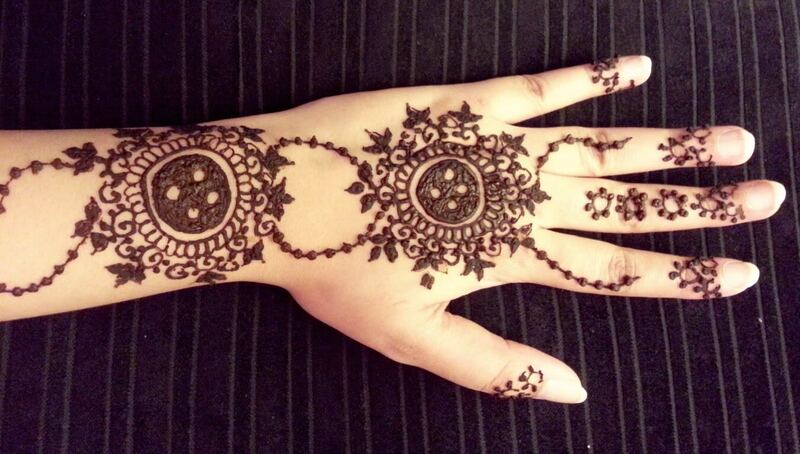 This is one of the simple Arabic mehndi designs for left hand which is for the back portion of the hand. 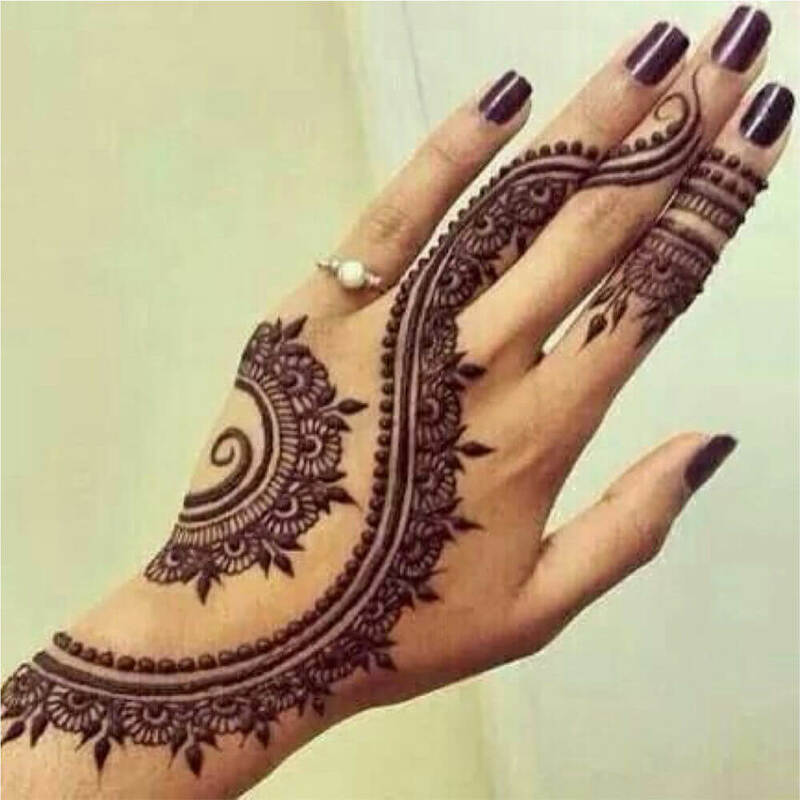 This mehndi design would make your hands look fuller and would also make them appear beautiful at the same time. 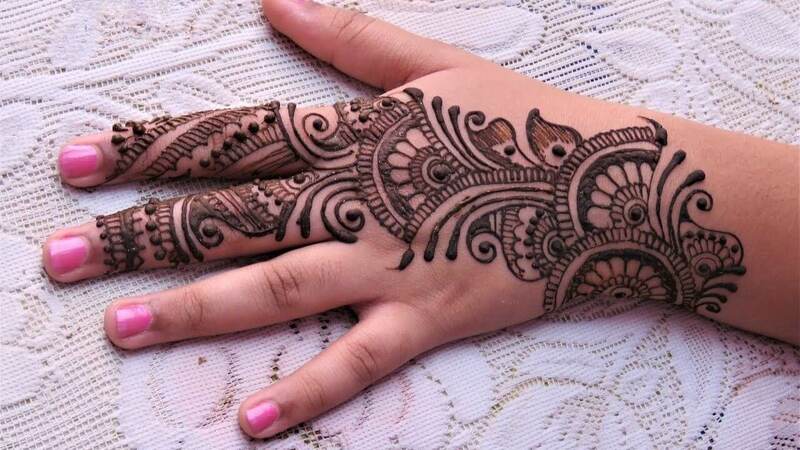 Here you would see some motif designs going on the fingers which would be kept simple as well as small at the same time. The main design of the hand would also include large motifs which would go on till the arms. 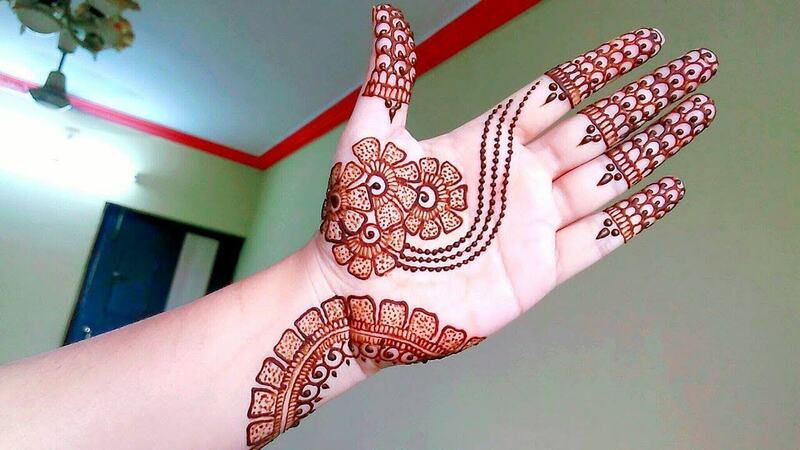 Here the peacock head can only be seen which would be drawn at the center of the hand and followed by that there would be floral designs at the index finger and also there would be design at the bottom of the hand and in this mehndi look there would be heavy work on the arm and the bottom line would have the most beautiful sequence. 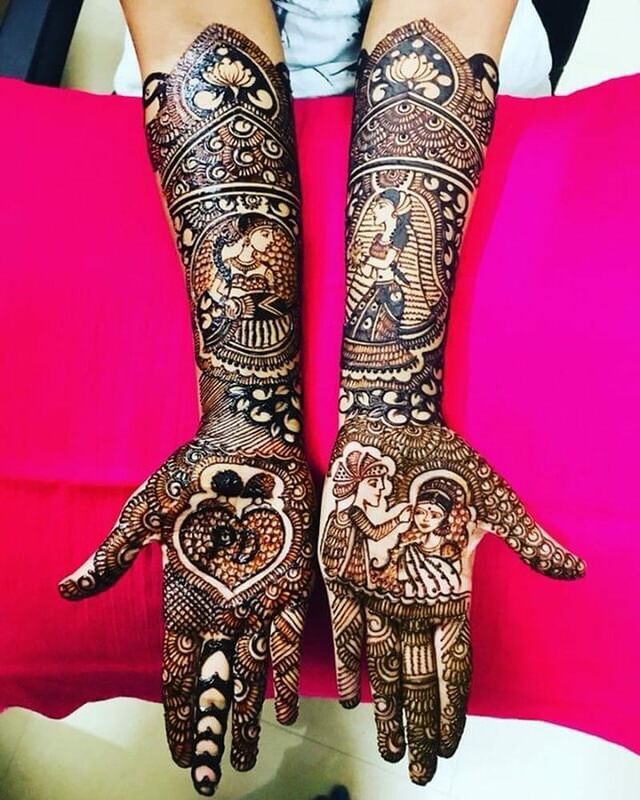 Here the main attraction of the hand has to be the arm portion here the most of the design would be drawn on the arms and mostly flowers would be drawn followed by which there would be leafs and also motif designs all over and this mehndi work seems to be best for brides who love heavy as well as full mehndi designs. 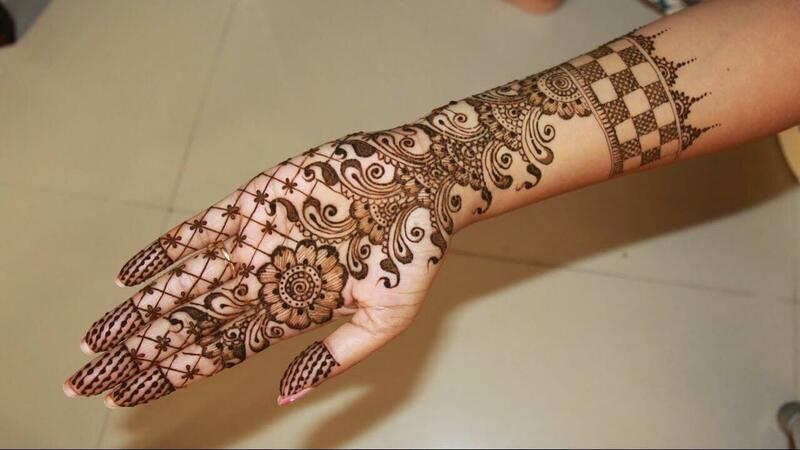 The design on the palm would be nominal and would be able to see floral prints all over. 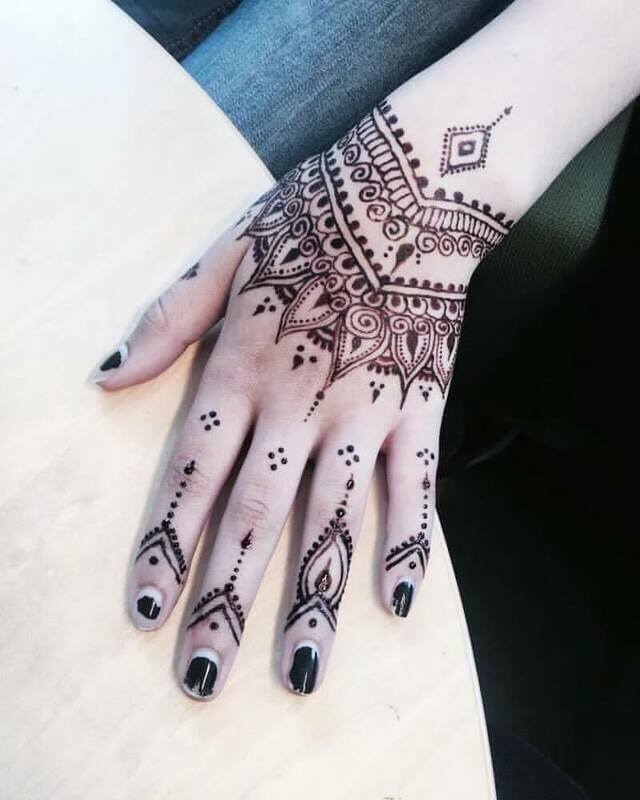 This has to be the simplest mehndi design ever and here would only see design till the palm only and would not exceed that. There would be a mixture of designs starting with a half circle flower made just below the thumb and then there would be block work at the middle and would be some floral designs followed by that as well. 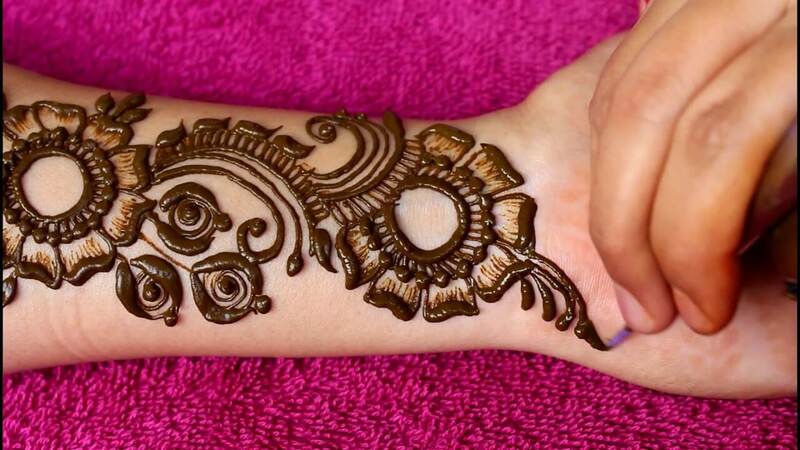 This design is entirely dedicated to the arm and you can also skip making designs at the palm this time and your arm would get highlighted in this way. 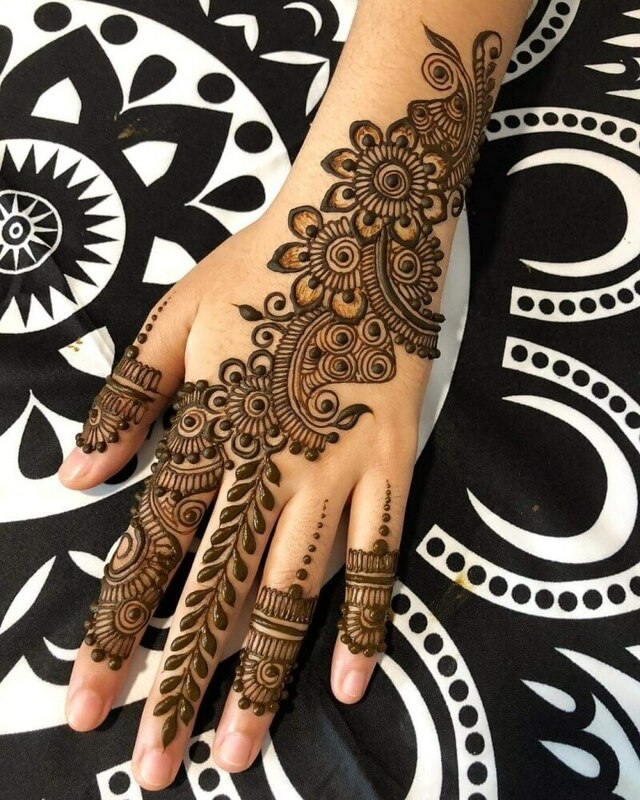 Here you would be able to see some flower drawn one after another and to connect them together there are leafy designs drawn beside the flowers and here would also see motifs which look stunning. 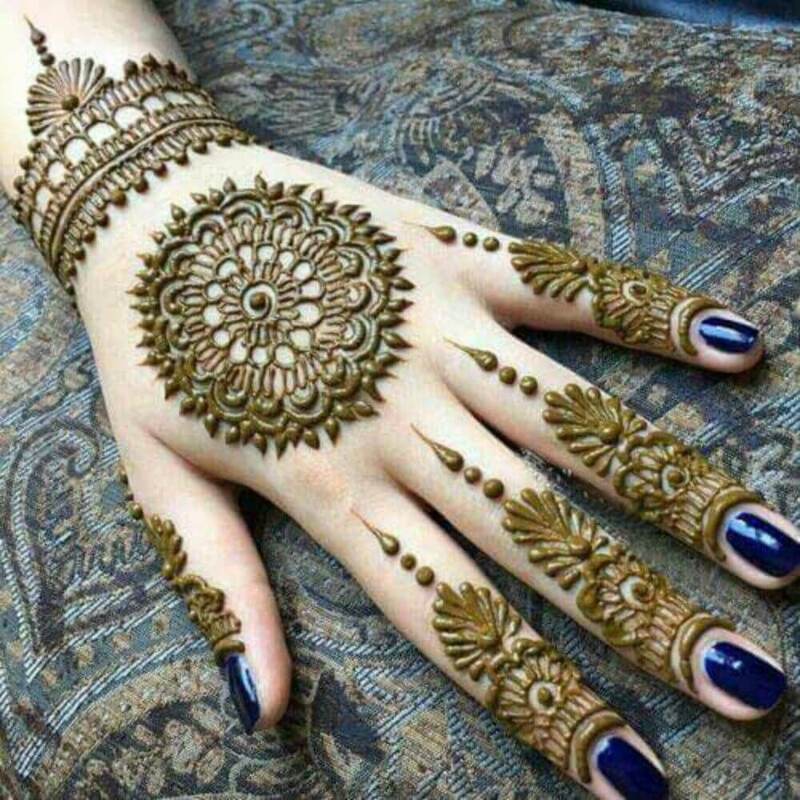 Here the idea is simple and this particular mehndi look can be said as one of the unique mehndi designs among all. 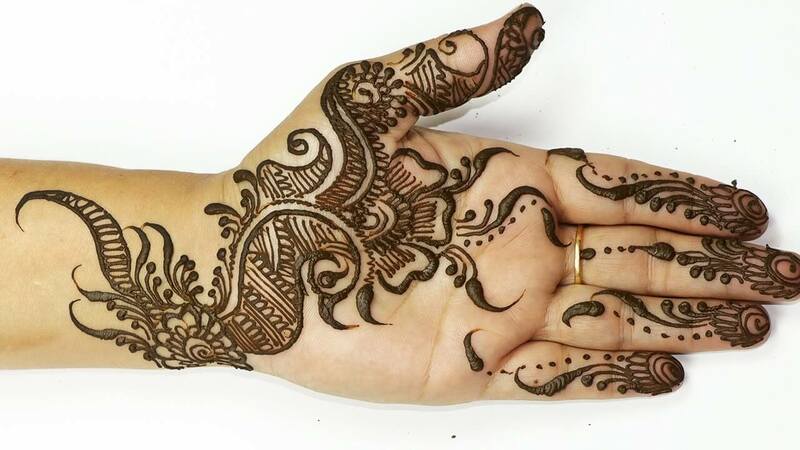 here you would see some leaf design sidewise from the index finger to the middle of the palm and from the mid of the palm you would see some heavy as well as dense designs which can either be of motifs or floral and this design would be drawn till the arms and make the bottom of the hand look dense as well as beautiful. 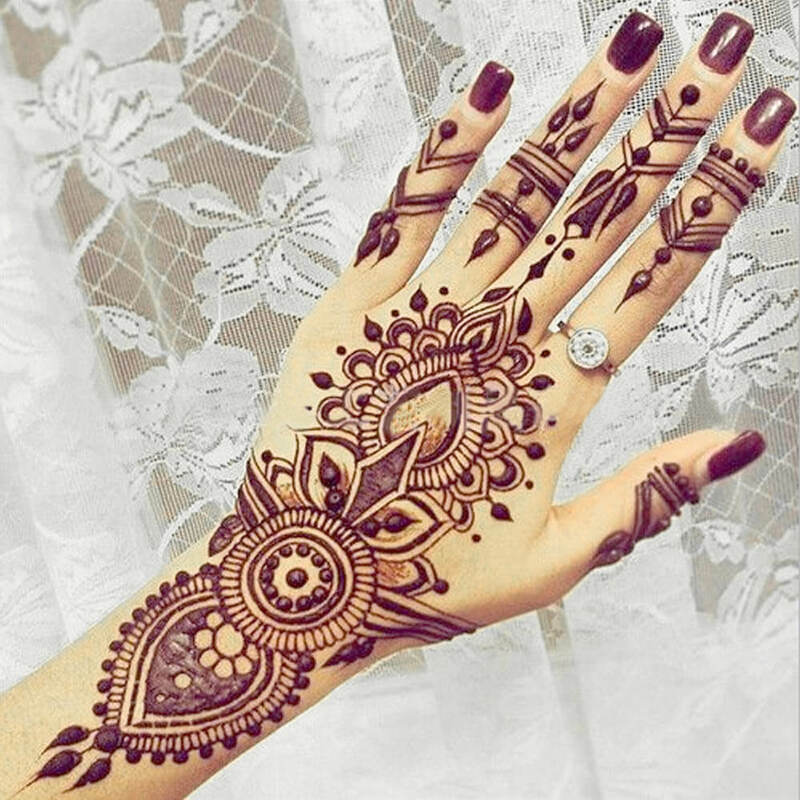 These were few of the best Arabic mehndi designs that you can try out and also you can check out more at Fashionterest.